Mastering the calculation of profit loss has become an absolute requirement for traders. Because in trading, of course we hope to get a profit right? Although the shadow of loss always follows, but with various strategies mastered it is expected to dispel all the shadows of the loss. Traders certainly know that the probability of profit must be more in order to cover the risk of loss that might occur. There are several ways that can be used to maximize profits with a simple capital count. Understanding the concept of capital calculation should be mastered before you trade. This is to keep traders from profound losses and to be able to maximize profits. Following are simple calculation concepts for your capital management provided by trading expert Wahyu U.K. Notodiputro who is familiarly called U.K. in one discussion forum. To make money in the long run, your average trading profit must be greater than your average loss. And this is something that you might have heard a lot. In short, the only way to achieve profit is to make your risk small on each trade and your profit goals outweigh your risks, usually two to three times or more. 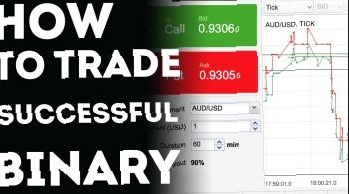 For example in your first step loss of US $ 10, then double the second capital to US $ 20 to profit, enter the next capital of US $ 10, well if you experience loss then in the next step must include US $ 30 capital so that the overall calculation remains profit. So the final result shows a profit average of twice the average risk. 2. Gather profits in several trades. In this concept we will double the profit through the profits that have been obtained. thus, we also add risk per trade in some trades. this is not a martingale strategy where a trader doubts losses, this is a reversal trading, where a trader uses profits from one trade and reinvests in the next trade. In the sense of doubling the size of the position on the next trade. Basically, we use market money because you don't risk anything on your investment. The idea is simple; we will do the opposite of martingale where a trader will only continue to double the risk per trade until he gets a profit. On the contrary, now we do reverse trading, a method that is applied when we anticipate successive profits in optimal market conditions and then double positions in several trades only if we get profit from previous trades. This method can add to your account to be abundant, and keep in mind that we are trading using market money, not our own. Example: in the first step, for example, you get a profit of US $ 10. Then in the next step we use the profit for capital to produce another profit to US $ 20, in the next step make US $ 20 as capital to get US $ 40 profit. this is to make it easier to calculate we assume only the percentage of profits is 100 percent. Because in real binary options trading the percentage of profits varies, some are 85 percent, some are 95 percent. From the example above we know that we have used market money to make fantastic profits. But in this case you have to know and be aware of when the right time to end trading, before all the profits achieved are lost again.